Your joints are involved in almost every activity you do. Movements such as bending, turning, and walking require the use of your knee and hip joints. When the knee becomes injured, the resulting pain can seriously limit your ability to work and move. Knee pain, why do we get it? Sports, exercise and other activities cause tendinitis, muscle strains, and more serious injuries to cartilage and ligaments. For some, knee pain can be a chronic hindrance. For others, knee pain can be so severe that it limits regular daily activities. Not using our knees enough leads to deterioration which leads to knee pain. The stress of life takes its toll on knees. Loose cartilage:cartilage can break off due to a knee injury. These small pieces of cartilage get stuck in the joint and cause pain and swelling in your knee. Osteoarthritis: Osteoarthritis is a top cause of knee pain. It’s sometimes called a degenerative joint disease because it is ‘’wear and tear’’ type of arthritis.This condition causes the knee joints to swell and hurt. Additionally, joints affected by this type of arthritis can feel ‘’stiff’’ in the morning. Dislocated kneecap: This means that your kneecap slides out of its position. When your kneecap slides out of its position it causes swelling and pain. 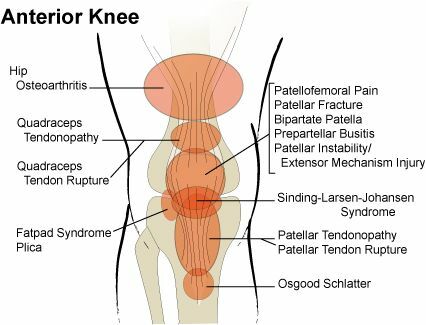 Patellar tendinitis: Patellar tendinitis means that you have an inflammation of the tendon that connects shinbone to the kneecap. Tendons are bands of tissue. They connect bones to muscles. When you exercise too much, tendons become incredibly sore and inflamed. This condition is also called ‘’jumper’s knee’’. Iliotibial band syndrome: The iliotibial band is a tissue that runs from your hip to the outer part of your knee.IT band can become inflamed when you overexert your body. Osgood-Schlatter disease: This disease usually happens when you’re in your teen years, and when your body is still going through the process of change. The knee is one of the most common body parts to be injured. Knee injuries are generally caused by twisting or bending force applied to the knee. However, direct blows during sports, sudden falls, and accidents can also cause knee injuries. The main symptoms and signs of a knee injury are swelling and pain. Knee injuries can be prevented by proper training and meditation. knee injuries include strains, sprains, bursitis, fractures, and meniscus tears. The wrong diagnosis is something that happens. Not often, but it happens. The doctor can sometimes even make the correct diagnosis, but the recommended therapy could be completely wrong, and it can do more harm than good. Sometimes meditation and prayer can be more effective than traditional methods. Hoffa syndrome can result from acute trauma or chronic injury. Hoffa syndrome is a condition due to irritation of infrapatellar fat pad and a cause of acute knee pain. Mostly, this condition occurs because of hyperextension of the knee. Your everyday habits can have a big effect on your knees. Eating healthy and working out can greatly reduce the risk of injury. Over 53% of people injure their knee because they do not stretch before meditating or running. 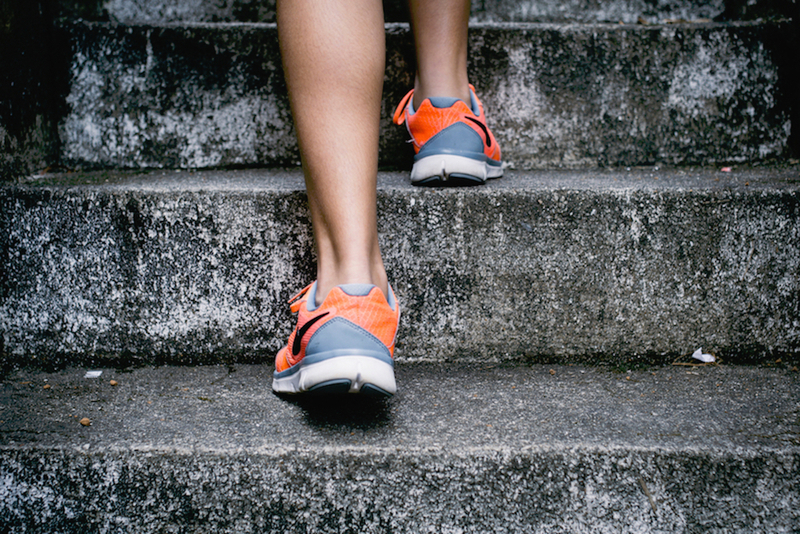 Your knees benefit each time you go up and down the stairs. Your knee health is affected by your choice of shoes. Eating fatty fish will help fight inflammation. Garlic can have an effect in limiting cartilage-damaging enzymes. Drinking tart juice makes your knees flexible and strong. Anterior knee pain is mostly dull, aching pain. Lateral knee pain a pain that gradually becomes worse. Posterior knee pain is usually dull. Anterior knee pain is caused by runner’s knee, lateral compression syndrome, and patella malt-racking. Medial knee pain usually develops after a knee injury and restricts movement. Lateral knee pain is usually caused by inflammation of the iliotibial band. Posterior knee pain can be caused by Baker’s cyst, Tennis leg, popliteus injury, etc. Sometimes, modern medicine will not be able to help with the pain in your knee. Your knee will look fine, but the pain will still be there. When that happens, try meditating. Our body is a temple, and it is connected with the universe. Every little thing can impact our bodies and our knees. Weather and inactivity affect you more than you know. Weather can affect our bodies and our knees in a lot of different ways, especially in the winter. Knee joints are extremely sensitive to change in temperature. Avoid meditating in cold and damp rooms. According to recent studies, over 47% of people have knee pain because of inactivity. Walking, working out, and meditating are good for your body, and your knees. When you don’t use something, it deteriorates. The same can happen to your body if you’re not careful. Our knees are one of the most important parts of our bodies. If we’re not able to move, the other parts of our bodies will deteriorate too. Knee exercise is important because our knees get used to handling the weight, and they become stronger over time. Be kind and positive. Love others and love yourself. Your body will thank you for that. It’s simple. Positive things can only bring more positive things. When you’re positive and kind your body recovers more quickly. Think of it this way: When you tell someone that he’s a good person, even if he is not, he will eventually become a better person. The same will happen with your body if you treat it well enough. You might think that your knee pain is just a result of an injury, but that’s not the case. Your body and mind are connected, and through meditation and prayer, you can heal yourself. Every kind of pain is linked to your brain and meditation and prayer can help with that. There are two kinds of pain – primary and secondary. Primary pain is the pain that you feel and arises from injury. Secondary pain is the mind’s reaction to primary pain. By meditating and praying you can heal your primary pain, and you can make your mind forget about the secondary pain. Poor ergonomics can have a long-term impact on our health. Using chairs, prayer rugs, and beds that are uncomfortable will just amplify your pain. We either don’t use our knees often, or we use them too much. Unfortunately, in this day and age, we either sit in chairs all day, or we’re running somewhere. When we don’t move our knees they deteriorate, and they get injured easily. Bending your knee while you’re running and bending your knee while you’re meditating are not the same things. While you’re meditating or praying, you move your knee slowly and you control it completely. Because of that fact, meditation is better for your knees than running and playing sports. The human mind does not feel pain. It processes the information that contains pain. Meditation helps with taking your mind off of pain by ‘’zooming it out’. Meditation and praying soothe the circuits in our brains that amplify knee pain. In most praying and meditation techniques, the body is visualized like a bright light. By visualizing this bright light and focusing it on a specific body part, it is possible to ease suffering and pain caused due to injuries and diseases. With meditation, a body is able to relax, rejuvenate, and heal itself. With regular practice of meditation, people have been able to overcome trauma, negativity, and even addictions. It is lesser known that meditation can heal the body as well as the mind. The body and mind working together in harmony lead to enlightenment. Meditation and prayer can help our knees and our soul. Guided meditation can even completely heal your body. You can meditate by yourself, but first, you must learn how to meditate properly. Meditation is not just sitting and doing nothing. Proper prayer mat and meditation posture are incredibly important. Focused attention meditation means focusing the attention on a single object during meditation. If your goal is to heal your knee, this might be the best type of meditation for you. Open-monitoring meditation means monitoring all aspects of our existence. All perceptions are recognized and seen for what they are without judgment. This type of meditation is great when you need to relax and get to know yourself. Effortless presence is the state where the attention is not focused on anything in particular. It is quiet, steady, and introverted. Effortless presence enables you to train your mind and your body. Taking control of your knee pain can be done in a lot of different ways. Most of the time, the doctors will tell you just to swallow your pills and go on with your life. However, if you truly want to be in control of your pain, meditation and prayer can help you. Your knee pain is not something that will easily go away, but it is possible. Remember, it’s your body, and you’re in control. Knee pain and how to heal naturally? Knee pain can be healed naturally through the wonder of meditation and prayer. Don’t overexert yourself, do these exercises slowly. We are what we eat. Eating healthy food will make our bodies stronger, but it can also make them more flexible. Plants are flexible. The wind cannot break them, and they stand the test of time. If you want to heal your knee and your body, don’t be afraid to try new and interesting foods. Nutrition is important, and carbohydrates are incredibly important to a healthy life. Knee pain can be annoying, and it’s not easy living with it. If you’re ready to make a change in your life, don’t wait anymore. Get yourself a prayer mat, study different meditation and prayer techniques, find all you can about eating healthy, and begin your adventure. Dance meditation – Get ready to boogie! Kundalini or dance meditation makes you let go of your ego and surrender to the rhythm and ecstasies of movement. Your knee might not be in the best condition, but that doesn’t mean that you have to sit around all day. Yell, jump, hoot like an owl! Kundalini meditation is great for releasing the tension and for getting in touch with your instincts. Journey meditation – Walking around can be a living hell when your knee hurts, but you can still travel the world. 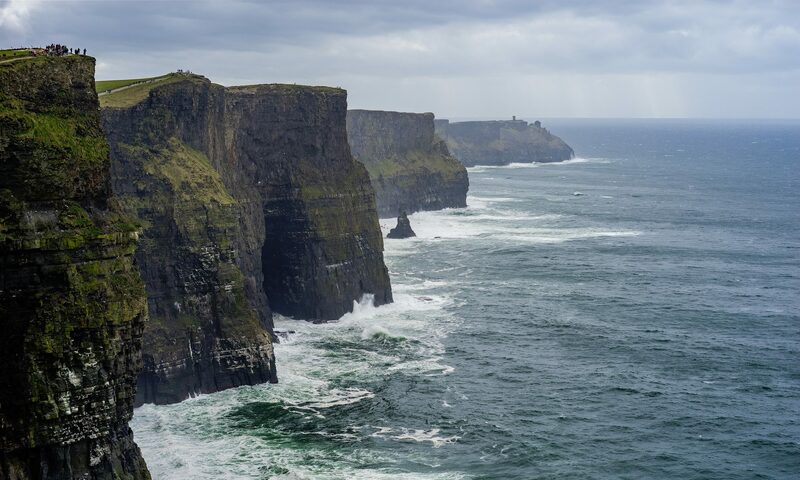 Take a deep breath and go on a journey around the world. Laugh, cry, and fly with the birds. Unleash the power of your mind and explore Earth and our universe. Acupressure action – Acupressure uses prices finger placement and pressure over specific points along the body. Heal your body by trying this technique! Prayer mats are incredibly important part of meditation. Your mind and body will not relax if you’re not completely comfortable. Tools like the TIMEZ5 physiological prayer mat will make your life easier, and your meditation more enjoyable. The TIMEZ5 prayer mat is the world’s first physiological prayer mat made out of space tech just for you. This prayer mat will improve your prayer posture, reduce your knee pain, and boost your energy.